The following is a beginning list of vision-related resources with relevance to congregations. There are two sections which can be accessed by selecting the “+” sign at the right of each section bar. The first section and most of the CAN survey questions focus on providing resources for persons with visual impairments who still have partial eyesight. The second section on Blindness Resources focuses on persons with very little or no vision who rely on Braille resources. For persons with limited eyesight, accommodation in worship services and other congregational gatherings is usually provided by means of either large print publications or large print projection on an overhead screen in the worship area. Tips for including people with low vision: “Using Computers for Inclusive Worship,” by John Jay Frank. For personal and home use, tapes and CDs provide various editions and translations of the Bible and other religious materials. Most major publishers of Bibles and other popular religious materials offer large print editions of their work. For example, one website offers even Large Print Bibles by the case for congregations that want to order at a discount. Most major hymnals are also published with alternative large print editions. Check with your denominational or other religious publisher. You can use the Google search box on this page or your own favorite search engine to find what you need. This section focuses on resources for congregations who have persons who are blind and who generally use Braille for reading. See the section above on Vision Resources for persons who have visual impairments but still have partial sight. Persons who are blind, especially those who become blind later in life and therefore do not read in Braille often benefit from increased audio services. For personal use, audio books on tapes of CDs are very helpful and fairly readily available. It may be helpful to have Bibles and/or other religious books in the congregation’s library for this kind of personal use. In the worship service, it is important that the leadership be aware of persons who are blind or who have serious visual impairments by not relying solely on the printed word. 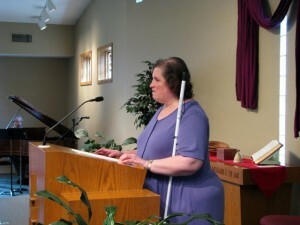 Announcements can be made orally and important worship material can be made available in Braille. The following items explain a little about Braille and suggest starting points for resources in Braille. Hymnals in Braille are expensive to produce and there seem to be only a few of the larger Protestant Christian denominations that have done so. When they are available, they tend to come in a multi-volume set of binders and require that someone take the hymns used for a particular Sunday out of the binder and provide them to the person who is blind, returning them to the binders when the service is over. Prices seem to start around $500. Lutheran Blind Mission large print hymnal. 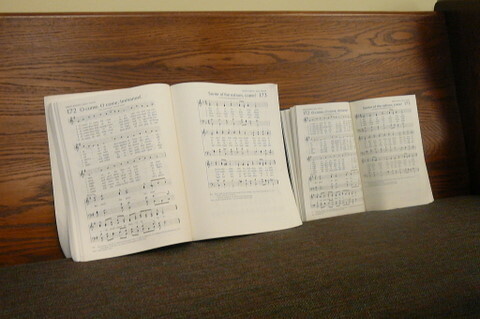 Southern Baptist news article on Braille and large-print hymnal editions. The Faith We Sing Braille Edition Three Volume Set. Another Methodist hymnal. Braille Hymnals: A Big Request A service of the United States Library of Congress. Episcopal Disability Network has a list of Episcopal resources for persons who are blind or have low vision, including large print hymnals. Braille lettering should be included on all new room signage and considered for addition to any existing signage. Possible vendors include Signs by Design and Erie Custom Signs. 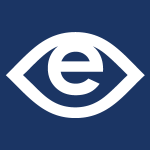 You can find more information about blindness and links to related websites on our Blindness Resource page.